Most of you probably appreciate the numerous collaboration benefits JIRA has to offer. At the same time, there’s no one-size-fits-all solution that will cater to everyone’s unique business requirements, hence, you may be looking for options.  This guide on the top 10 Jira alternatives should be of help. Having good project management programs is crucial in accomplishing projects on time and within the allocated budget. That’s why organizations using efficient processes are more likely to be successful in their project delivery. 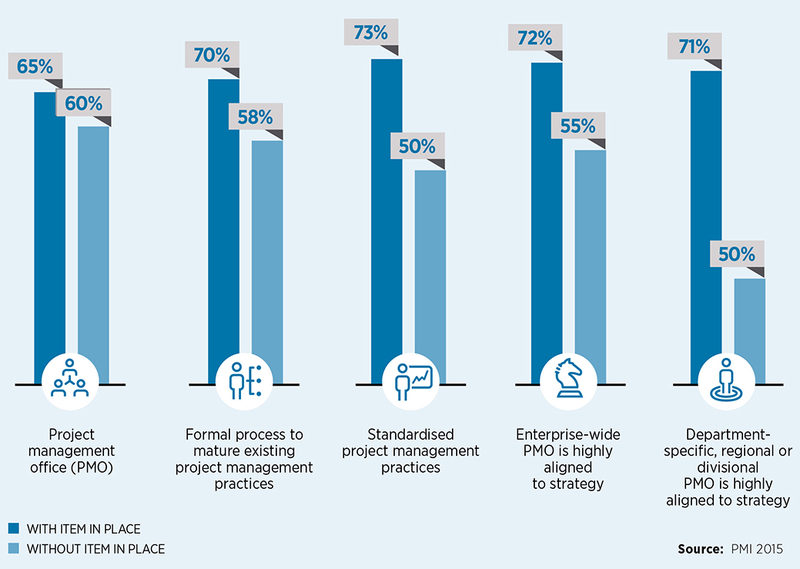 In a visualization by Raconteur, 65% of the components of successful projects for PMOs (project management office) has a tool in place. Jira features are known to be reliable and intuitive. The software has become extremely popular in recent years, and it is no wonder that it appears on all popular platforms and it is recommended by all reputed industry specialists. Nevertheless, in the world of large and remote teams with diverse collaboration needs, it is quite difficult to speak of a single “perfect software.” That’s why it is desirable to have a few JIRA alternatives up your sleeve, especially when operating in highly specialized industries where standardized solutions simply won’t do. There are many scenarios, however, in which JIRA would fit seamlessly. It serves startups and large enterprises equally well, supports all devices, and offers flexible deployment options. Setup is accomplished instantly. It allows customization and agility suitable for both techies and non-techies. The Atlassian product’s advanced workflow engine and flexible insight dashboards offer a refined and professional user experience. Equally important, the need to use third-party collaboration software is eliminated. The software is also up for better features. 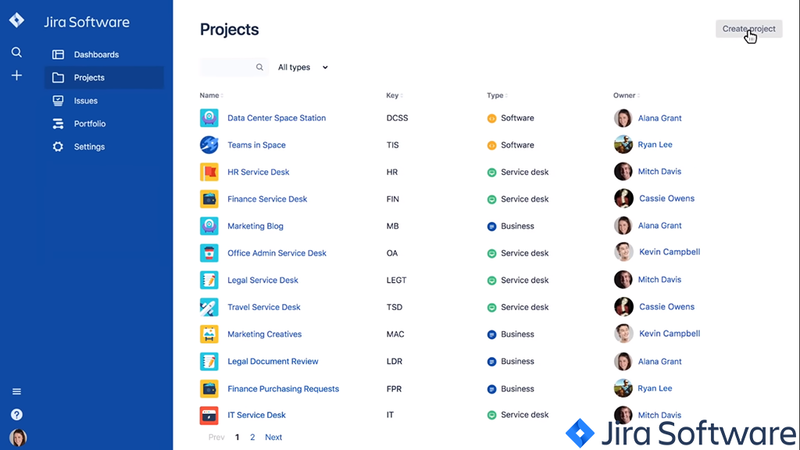 Atlassian has just launched an updated version of the Jira Software this year, TechCrunch reported. It is redesigned from the back-end all the way to the user experience to offer more functionality. For instance, with admin permission, workflows are more flexible and allow teams more autonomy. For a system to be qualified as a decent JIRA alternative, it has to have roughly identical features or go off the hook with unique functionalities that can help your business grow even faster. If you believe JIRA is not suitable enough, or perhaps too pricey for the context of your business endeavor, one of these top 10 Jira alternatives may suit you. We also recommend that you check out project management software reviews to learn more about the software, its features, benefits, and top products. What are the top 10 JIRA alternatives? Wrike is a strong Jira alternative as it is built for any business size and loaded with collaboration and project management features. Hence, our team decided to rate it as one of the best solutions in our top 10 project management software selection. Businesses of all sizes, including many Fortune 500 companies, use Wrike as their project management tool. Users can explore the app firsthand with its forever-free plan. This package includes 5 users, basic features and shared task management. Meanwhile, you can test drive its premium features when you start your free trial of Wrike here. Users can start and participate in conversations when they are tagged. Managers can easily follow and track the team’s progress and arrange security issues to prevent unauthorized access. Wrike streamlines how you manage your projects by breaking them down into manageable units through smaller tasks and subtasks. Identifying bottlenecks in the workflow enables you to immediately correct or remove the snags. It ensures everyone understand each task clearly by providing in-context information with pictures, tables, graphs, or files. Furthermore, data migration and sharing are accelerated through its robust integrations with various popular systems such as Salesforce, Zapier, Microsoft Project, Dropbox, Google Apps, and even Jira itself. Why choose Wrike instead of Jira? Easy data migration. Sync, share and collaborate on files easily through its extensive list of integrations with third-party apps. Creative teams. Use creative asset and content development templates, integrate with Adobe Creative Cloud, and standardize creative brief intake. Enterprise-level features. Advanced features like audit reports to monitor projects and spot malicious activity. Why choose Jira instead of Wrike? Deployment options. Deploy on premise or on demand. Browser extension. Available on Chrome and Firefox extensions. Simple pricing. Two options to choose from based on the number of users. If you need more options, one of these Wrike alternatives may cut it for you. Monday.com is a clean, color-coded and customizable team management platform for any collaboration type. It adapts to a variety of workflows, such as in project management, sales management, inventory tracking, task management, event management, workflow management, product roadmap, and business process management. The software’s visual collaborative workspace shows you tasks, projects, and deadlines at a glance. Right from the start, Monday.com is easy to use. You begin by selecting an easily customizable template for each of your workflows. A single dashboard view presents important information: locations, time spent, assignments, and assignees. This functionality makes it easy for you to track the progress and schedule of your projects. Monday.com is also an integrated solution you can connect with your current systems like Dropbox, Slack, Trello, Google Drive, and Microsoft Excel. You can use the PRO plan features at no cost for 14 days when you sign up for Monday.com free trial here. Why choose Monday.com instead of Jira? Visual planning. Many options for tracking progress: files view, chart view, calendar view, and Kanban view. Configurable. Customize the software to fit the specific project you’re working on. Scalable. Teams and a whole organization can use the software. Why choose Jira instead of Monday.com? Affordable starting plan. Jira has a more affordable starting plan at $10/month for 10 users while Monday.com is at $49/month for 10 users. Self-hosted option. Jira has a self-hosted deployment with two options: Server and Data Center. Roadmap. Build a roadmap that connects your plans with your project’s progress. Similar product options are also available in these Monday.com alternatives. Smartsheet is a practical collaboration system with project management capabilities. Merging collaboration and time management functionalities, the software is designed to help you ensure your company’s operations are working in harmony. Smartsheet is more flexible than Jira in automating workflows, adding custom fields, tracking desired metrics and setting alerts. The software’s main offerings include customizable dashboards and workspaces, project timelines, Gantt charts, and version controls. Meanwhile, live chat and email are for collaborating and staying aligned with project goals. These tools enable communication on a per-project basis for more context. You may sign up for Smartsheet free trial here to try the software firsthand. Why choose Smartsheet instead of JIRA? Work at scale. Integrate with third-party apps, control user access, and optimize resource management. Security. Security features include granular sharing permissions, user authentication, and data encryption. Simple rules. Regardless of skills, anyone in the team can use simple rules to automate actions. Why choose JIRA instead of Smartsheet? Deployment. Deploy the software on-premise, in the cloud, and on demand. Agile teams. Built to support the needs for agile teams. Connectivity. It connects with an extensive list of third-party systems. If the software doesn’t match your needs, you can check out these Smartsheet alternatives. Clarizen is a strong Jira alternative as it empowers project management with business agility. The software keeps everyone in your organization engaged and connected with an enterprise-level collaboration. Avoid mistakes in project delivery by collaborating with your team members effectively. Clarizen leverages project planning for your team to do projects successfully in the first try. Doing so saves you time and money from correcting mistakes and starting over. Everyone in the team stays on the loop from document sharing to project management. Stakeholders who are in and out of your organization stay updated as well. Other features also include a centralized document repository, timesheet, expense sheet, progress management, and reports and dashboards. Its enterprise-grade security gives you multiple layers of protection for your clients, network levels and apps. You can check out the software more closely when you sign up for Clarizen free trial here. Why choose Clarizen instead of Jira? Demand management. Create recurring projects automatically. Multi-layer security model. Enterprise-ready compliance with secure software architecture, facilities and disaster recovery, and certifications. Change and scope management. Tracking bugs, issues, and changes with quick changes adaption. Why choose Jira instead of Clarizen? Jira Query Language. Developers can connect with third-party apps like Salesforce, Zendesk and GitHub. Robust connectivity. Adapt to any environment through its Java and REST APIs. Configurations. Customizable to meet the needs of any industry or niche. More options are available in these Clarizen alternatives. ProjectManager gives teams a collaborative workspace with scheduling and planning features. Everyone in your team, including remote workers, stay updated as you create and collaborate on projects. The software’s main features include dashboards, task management, chats, and discussions. Additionally, you will receive real-time notifications when any change occurs. This feature helps everyone stay aligned in project goals. The software is ideal for small and large projects. It streamlines planning projects, scheduling tasks, managing resources, and monitoring project progress. First-time users can easily learn how to use the software with its short learning curve. ProjectManager works for any project and adapts to most workflows. You can try the software firsthand without spending anything when you sign up for ProjectManager free trial here. Why choose ProjectManager instead Jira? Detailed progress tracking. Compare the project’s planned progress versus the actual progress to proactively make adjustments. Compatible to any device. It runs on Mac and Windows operating systems. It is also available on Android and iOS apps. Complete customization. It is configurable to your unique workflows. Why choose Jira instead of ProjectManager? Mobile apps. The mobile apps offer nearly the same functionalities as its desktop version. Flexible deployments. Deploy in the cloud or on-premise. Scrumban. It uses Scrum and Kanban for project board flexibility. Meanwhile, you may also explore ProjectManager alternatives to check out other products. Quire is currently available as a free application where creative teams can manage tasks and projects. It breaks down large goals into small, actionable tasks for easier prioritization. The clean and simple user interface enables users to navigate the platform easily. A unique functionality of Quire is its tree structure. Instead of the traditional task segregation method, this technique preserves the natural task hierarchy. The task management system shows tasks, their dependencies, and the entire context. This way, you get a bird’s eye view on the relationship between tasks and how each evolved throughout the project’s lifecycle. As of writing, the software is free to use. Enterprise plans are yet to be announced. If you sign up for Quire free trial here, you can keep the features you’re using for free when the vendor officially release their priced plans. Why choose Quire instead of Jira? Free app. Use the app at no cost. Tree structure. A unique methodology for managing tasks by keeping its natural hierarchy and context. No restrictions. Unlimited tasks and subtask for creative projects that don’t have a fixed structure. Why choose Jira instead of Quire? Deployment options. Offers OnPremise and OnDemand packages in addition to cloud-based deployment. Integrated. It offers over 3000 app integrations like GitHub, Tempo Timesheets, and Zephyr. Learnable. It gathers and stores historical information in a centralized searchable hub for statistical investigations and analysis. Meanwhile, you can check out these Quire alternatives for more options. Zoho Project packs collaboration features such tasks, task lists, and milestone. This tool set helps you plan your work to ensure on-time project delivery. You can also prepare a deadline-based schedule for subtasks, dependencies, and recurring tasks. Meanwhile, the software breaks down large goals into small, actionable tasks to streamline project management. Zoho Project also generates comprehensive insights from your workflows. To easily digest information, the software visualizes data into easy-to-understand graphs and charts. You can then track opportunities, identify bottlenecks, report on activities, and improve your workflows. Time tracking helps you record each billable and non-billable hours of your team members and stay on schedule. Overall, the software minimizes the time spent on project planning and frees up your time for more productive use. If you want to try the software first hand, you can sign up for Zoho Projects free trial here. You can use the software for 10 days at no cost. Why choose Zoho Projects instead of Jira? Pricing options. It has scalable pricing options designed to cater to the size of your team. User-friendly. Its simple and clean interface is easy to learn. Bug tracking. It tracks bugs and eliminates them as soon as detected. Why choose Jira instead of Zoho Projects? Agile teams. Jira is designed for agile teams, unlike Zoho Projects. Simple pricing. Choose between two plans based on your number of users. Deployment. It is available in the cloud, on-premise and on-demand. Meanwhile, you can look at these Zoho Projects alternatives if the software doesn’t suit your needs. Workamajig Platinum is a project management system built for creative teams both for ad agencies and in-house. Additionally, it caters to various roles such as project managers, creatives, salespeople, admin, and resource managers to offer the right tool set in catering their needs appropriately. Workamajig Platinum covers project planning and task organization across your teams. Like Jira, Workamajig Platinum offers multiple deployment options. It can be deployed in the cloud so you can immediately use it in any browser or operating system. Additionally, you can let the vendor host the software or you can host it on your own server. To know the product’s offerings, you can sign up for Workamajig Platinum free demo here. Why choose Workamajig Platinum instead of Jira? Creative teams. Built for creative teams – both in-house and advertising agencies. Client portal. Clients can submit their project requests in the client portal for automated routing and streamlined approval. Issue alerts. Project managers get notifications for real and potential issue alerts. Why choose Jira instead of Workamajig? Agile teams. Built for agile teams’ project management needs. Scrum boards. Use sprints and story points for a detailed plan before starting the project. Roadmaps. Built in Jira Cloud, roadmaps connect with your tasks and workflows to get a bird’s eye view of your project. If the software doesn’t cater to your needs, you may also check some of these Workamajig Platinum alternatives. ReQtest is a project management system designed for software development teams. Its main features include bug tracking, test management, and requirement management. It is used by business analysts, developers and IT support teams to stay connected and aligned with their team. ReQtest is accessible from any browser so you can organize, review and prioritize requirements even when on the go. It also handles tracking of bugs and generating insights. Meanwhile, it integrates with Jira to leverage bug reports and test management. Sign up for ReQtest free trial here if you want to check out its features firsthand. The tool is priced on a pay-as-you-go basis. This means you don’t have to pay for the subscription when you’re not using it. Why choose ReQtest instead of Jira? Pay-as-you-go. Subscribe only when you are using the software. Software implementation and development. Built to leverage how you develop and implement a new software. Collaboration. Business analysts and testers can easily and clearly collaborate on the same project. Why choose Jira instead of ReQtest? Deployment. Available on on-premise and on-demand deployment. Roadmaps. Streamline communications and visualization to stay on top of the project’s progress. Connectivity. A highly integrated system that connects with more than 3,000 apps like Salesforce and GitHub. If you are interested in other options, you can check these ReQtest alternatives. Hive is a collaboration software that can be used by small and big teams. It supports collaboration and project management with features such as chat, task management, automation, and file sharing. It also integrates with popular cloud storage services like Box, DropBox, and Google Drive to share, access and work on files with your team. It has a visualization similar to Kanban that shows you the project status at a glance. You can see the summary of an individual’s or a group’s progress and productivity levels. This functionality can help you identify bottlenecks and inefficient areas in your workflows to immediately resolve them. Hive’s solution helps you focus on core tasks to ensure an on-time project delivery. If there are inefficiencies in your team’s productivity, you will receive real-time notifications. Meanwhile, you can take a closer look at the software’s features when you sign up for Hive free trial here. Why choose Hive instead of Jira? Simple interface. It has a simple and clean user interface. Action template. It automates task creation for recurring requirements. Predictive analytics. Powered by machine learning, Hive gives you a data-driven forecast of your project’s delivery to prepare for any roadblocks or delays. Why choose Jira instead of Jive? Agile teams. It is built for agile teams. Flexible deployment. Available in the cloud, on-premise and on demand. For more options, visit some Hive alternatives. If you want to expand your options from this top 10 Jira alternatives, check out this extended list of 20 best project management tools. This article is prepared by our team of SaaS experts with products ranked according to overall functionality and value for money.